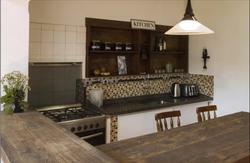 Privileged location, comfort, Young and relaxed atmosphere, excellent equipment and the best care. The best relation cost benefit for your stay! The ideal choice for the ones who visit the city that is to say by pleasure or business! Comfortable facilities, rooms like a hotel! Private bedrooms and dorms 100% equipped. All of our bedrooms include private bathrooms, air-conditioning and heating. Services and benefits for an unforgettable moment: A complete amazing breakfast included, computers, internet and Wi-Fi, transfers, excursions and tourist information service, and always with the best care from our staff. Excellent location! 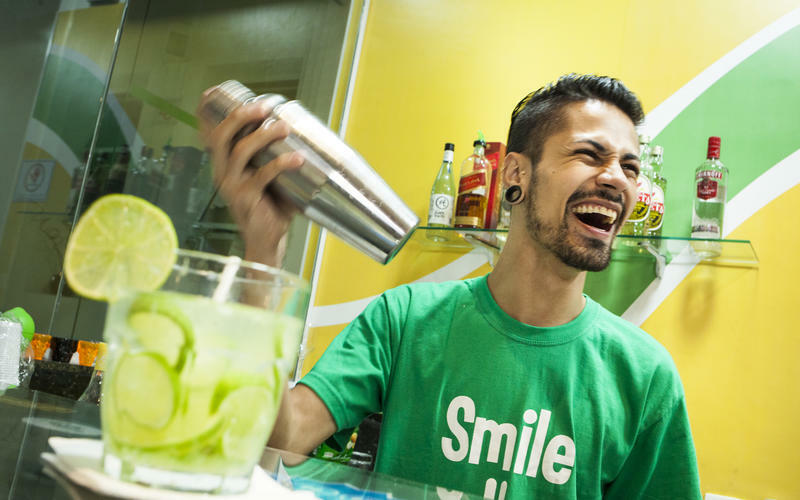 In the heart of Vila Mariana, surrounded by attractive bars and restaurants, fullof young people. A few meter away from av. Paulista and from Ibirapuera Park and next to two subway stations. The ideal place to go out and visit SÃ£o Paulo! 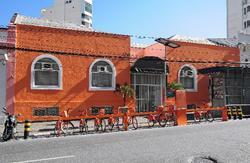 Che Lagarto Hostel SÃ£o Paulo offers facilities for all types of visitors. For the travelers it offers commons areas ideal for making new friends and exchanging travel tips with people from around the world: a shared kitchen, a bar opened every day; quiet and well equipped if a comfortable place is what you need. To make your stay complete we offer transfer services and excursions so you do not miss anything that the city offers. And as always, the Che Lagarto Hostels team expects you to give you tourist information and expert advice. Come live an unforgettable experience! Che Lagarto Hostels is the largest chain of private hostels in South America, present in the best tourist destinations and always looking that our guests have the best experience on each of our Hostels. We are currently present in 5 countries: Argentina, Brazil, Peru, Uruguay and Chile; over 30 Hostels and Suites in different cities. We have a history of over 18 years in the market, growing every year. Each reservation is for an individual bed, although you book the same number of beds as the room has, this doesnâ€™t guarantee that all the people are going to be in the same room. Guests under 18 years old are not allowed without their parents or responsible adult and they must stay in a private room. - Our prices are set in USD. The exchange rate to local currency used is not the official daily one, because of the market variation. The exchange rate used is established by Che Lagarto, the exchange rate shown on the website can change. Please contact us for more information. -We accept Visa and MasterCard credit card. -	Drink or eat inside the rooms. -	Bring hard liquor into the hostel. -	Smoke or use drugs in the Hostel. *Half of the daily rate will be charged for late check out between 11:00 AM and 2:00 PM. After 2:00 PM a full daily rate will be charged. You can hire a TRANSFER service directly with the reception of the Hostel. Guarulhos International Airport: Take the Airport Bus Service of EMTU that goes to the subway station Tatuape. From there, take the red line towards Palmeiras - Barra Funda, get off at Se metro station, change trains catching blue line towards Jabaquara and get off at the metro station Ana Rosa. From there, take the Conselheiro Rodrigues Alves Avenue and turn left at Rua Humberto I.
Congonhas Airport: Take bus 875A-10 Airport - Perdizes, get off at metro station Sao Judas, take the blue line towards Tucuruvi and get off at the metro station Ana Rosa. From there, take the Conselheiro Rodrigues Alves Avenue and turn left at Rua Humberto I. Bus Terminal Palmeiras - Barra Funda: inside the terminal there is an entrance to the subway, take the red line towards Corinthians - Itaquera, get off at Se metro station, change trains towards Jabaquara taking the blue line and get off at metro station Ana Rosa. From there, take the Conselheiro Rodrigues Alves Avenue and turn left at Rua Humberto I.
Tiete Bus Terminal: inside the terminal there is an entrance to the subway, take the blue line towards Jabaquara and get off at the metro station Ana Rosa. From there, take the Conselheiro Rodrigues Alves Avenue and turn left at Rua Humberto I.
Jabaquara Intercity Bus Terminal: inside the terminal there is an entrance to the subway, take the blue line towards Tucuruvi and get off at the metro station Ana Rosa. From there, take the Conselheiro Rodrigues Alves Avenue and turn left at Rua Humberto I.